3 So what are the most comfortable shoes for Disney? Have you ever wondered how many miles a person walks at Disney? We logged 27,000 steps on our very first visit to Disney World’s Magic Kingdom! That is the equivalent to nearly 13 miles. This isn’t even counting the additional steps taken at the resort. Our experience was not an exception, but the rule according to most people. Choosing the right shoes to wear at Disney is as important as planning the best strategy to tour the park. In this guide, we will address the most commonly asked questions when considering the best shoes for Disney World and give you some cute Disney shoe options for the whole family. Want a short-cut to our favorite shoes for Disney? Click here! We have made it easy for you to navigate the guide and find the information most valuable to you. In the first section of this guide for Disney Parks shoes, use our table of contents to find the relevant sections and scan our comparison chart to quickly check rankings and prices on our top picks for the best shoes for Disney park hopping! In our top 10 chart, you can click on the stars to read the reviews and easily check the current prices by clicking the red word: CHECK on the right side of the chart. In the second section of this guide, you will find another chart of completely adorable Disney shoes for adults as well as Disney shoes for toddlers and babies. The shoes in our second section are cute and comfy shoes for Disney from great brands and with great reviews, however, they were not on the top 10 list simply because they didn’t meet out highest standards for rankings. So what are the most comfortable shoes for Disney? If you are really in a hurry, click here for our #1 most comfortable shoe for Disney in each category. The shoes on our top 10 list have been tried and reviewed by a minimum of 1000 reviewers and many of them have been reviewed by more than 5000 people. They have all met a minimum of 95% positive reviews in the top three tiers. That means that out of 1000 reviews only 50 reviewers found them unsatisfactory. We are confident the shoes on this list are the best shoes to wear to Disney World or any Disney theme park. The one exception to this criteria are The UNISEX Crocs which only had a 94% ranking, but there were nearly 10,000 reviews on the Crocs. You may or may not be a fan of Crocs, but there is no denying that they receive a tremendous amount of positive praise from a number of people including those who suffer from plantar fasciitis. We had to purchase this adorable pair of Disney crocs in the gift shop of our moderate Disney resort, when my youngest son began complaining that his tennis shoes were hurting. One final note about a few shoes that didn’t make the top 10, but came really close. I suffer from a bunion on my left foot and wide toe box shoes are my life saver, so if you have the need for a wider shoe, I can personally recommend the KEEN Women’s Whisper Sandal (on the top 10 list) as well as the Keen Rose Sandal which didn’t quite make our cut based on reviews, but are extremely comfortable and make excellent walking sandals for Disney. When evaluating the most comfortable shoes for walking around Disney, you want to take into consideration a few things. Your shoes must be broken in! Do NOT buy brand new shoes any more than one week before your Disney vacation. In fact, we would recommend a minimum of two weeks to allow ample time to break in your new shoes and ensure they will be comfortable throughout your vacation. There is nothing worse than blisters on day ONE!! To prevent and help with blisters and rubbing, be sure to pack some BodyGlide Foot Anti Blister Balm as well as some mole-skin. Can you wear flip flops at Disney? Absolutely! There is no reason not to wear flip flops at Disney World. 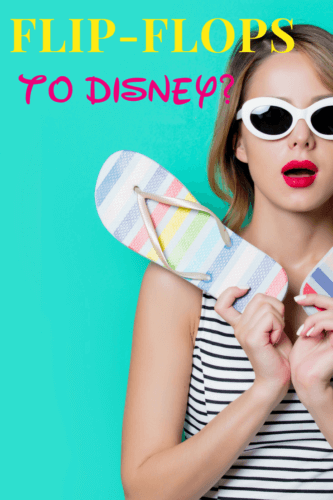 We’ve chosen a few of the best flip flops for Disney World in our top 10 list as well as a few runners up in our cute and comfy shoes for Disney list. Keep in mind, Disney is probably not the best place to decide to try a whole new type of shoe. If you normally wear an athletic shoe while walking, hiking, or hanging out at the house, you may not want to try to sport a brand new cute pair of Disney flip-flops. However, I refer you to the recommendation above should you decide to venture out there: BREAK THEM IN! Do you have to wear closed toe shoes at Disney World? There are no rules forbidding open toe shoes on any of the Disney park rides, in fact, shoes that dry easily are recommended. The only ride where you are required to remove loose fitting shoes is Soarin’, but that is as easy as slipping them into the basket provided under your seat. How will the weather affect the shoe I should choose for Disney Parks? Be prepared for anything! Don’t assume because Walt Disney World is in Florida or Disneyland is in California that you will only need flip-flops or sandals! We have experienced everything from sweltering heat to scarf wearing winter coat weather in both the Florida and California Disney Parks. No matter which type of shoe for Disney you choose, consider one from at least two categories. Take a comfy and cute Disney shoe or flip-flip for those warm days, but also want that comfortable walking shoe for those cooler days. Now for the details! Here is a break down of each of the shoes for Disney on our top 10 list. “Quite possibly the most comfortable shoe I’ve ever worn” and “These felt like bedroom slippers” are telling as to the comfort level these shoes provide. 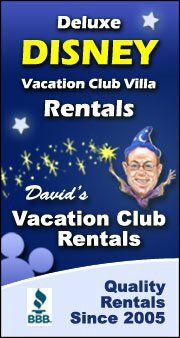 The best reviews are always those Disney Park tried and true thumbs up! Read some of those here. May take a bit longer to dry than a sandal or flip-flop so pick those feet up when on Kilimanjaro Safaris! Some complaints that the newest version is tighter, not as comfortable as previous models, and less durable. Keen brand shoes are simply my favorite! As I mentioned earlier, I have pretty bad left foot bunion and I love to hike, so finding comfortable shoes with a wide toe box is a challenge. I wrote a whole post about the best hiking shoes for wide feet and while Salomon’s remain my favorite trail shoe for wide feet, Keen’s have quickly become my favorite every day sandal. The whisper sandals are incredibly comfortable and cute, but don’t take my word for it. Let the stats speak for themselves. More than 7500 reviews with 96% in the top three tiers. That means that only 300 out of 7500 gave Keen’s a less than 3 star review. There were over 40 positive reviews about wearing Keen Whisper’s to Disney! Read all the positive Disney reviews here. Can be some variation in sizing for certain feet types. We had to size up a bit to get a good fit for our wider toe box. Among the few negative reviews, the consistent complaint was the threading was coming apart on some of the straps after a few weeks. Unfortunately, none of the men’s Keens passed my steep review criteria, but the ECCO Men’s Yucatan Sandals have a tremendous amount of positive support behind them. While we couldn’t find anyone who had worn them to Disney, we did read several reviews by hikers and those putting more than 30,000 steps per day, which is a pretty typical step count for a full day at Disney. The Teva Women’s Tirra Athletic Sandal has an impressive 96% positive ranking from more than 7000 people. One reviewer says, “I bought seven pair.” The adjustable straps, water freindliness, cute color options, and superior comfort make Teva Tirra Athletic Sandal the BEST Sandal for Disney among all the shoes we reviewed. Again, you can read about it for yourself here. There are more than 70 reviews raving about their Disney experience in these sandals. The Teva Men’s Hurricane XLT Sandal is not nearly as popular as the women’s Teva Tirra sandal, but in the men’s athletic sandal category, it fared well with more than 96% positive reviews and nearly 700 reviewers stating these were comfortable sandals and worn on expeditions throughout Mexico, miles and miles of hiking, and, yes, they are comfortable sandals for Disney World according to one reviewer. I’ll be up front and say this one surprised me. Nearly 9,000 people swear by their Sanuk Yoga Sling and many of my own personal Disney friends and Disney bloggers also recommend them. I think I will be getting a pair for myself. Let’s talk Disney flip-flips for adults. Crazy? Maybe not. As I mentioned earlier, I don’t recommend trying any type of shoe for the first time at Disney, but as someone who suffers from a bunion, I can completely relate to the desire to wear a flip-flop to Disney instead of a cramped up athletic shoes. CLARKS Women’s Breeze Sea Flip-Flop will make a great choice if you are in the market for comfortable flip flops for Disney World. My husband often scratches his head at my shoe choice, but when everything you wear feels like you are trying to shove your foot into a coke bottle, you completely get the need to set your feet free! It’s why I am now intrigued by the aforementioned Sanuk Yoga Sling. I know that Clark’s are comfortable so I was not at all surprised that this incredibly cute flip-flop received 97% positive reviews from more than 3200 people. My husband is not a flip-flop man, but I am betting if I got him a pair of these OOfos, he might be persuaded. So many positive reviews. The fact that they are UNISEX makes them pretty appealing to me as well. I’m going to need a bigger closet! The shape and design of the flip flop is intended to not only be comfortable, but actually relieve the stress on your feet. Several Disney goers with plantar fasciitis gave these flip-flops for Disney a thumbs up! As I explained above, we adore the Disney Crocs we bought in the parks for my toddler, but apparently they shine like Tinker Bell as great Disney shoes for adults as well. Nearly 10,000 reviews and largely positive, plus they have so many adorable Disney themed versions (more about that below). In this section of our guide, we wanted to include a few more shoes that didn’t quite make the cut needed for the top 10, but which came very close AND/OR are completely adorable. We know when it comes to Disney World, cuteness certainly has it’s own category when deciding what to wear to Disney World. Matching mother-daughter Disney shoes?? What more can I say? This is a great benefit to buying TOMS Disney Shoes! The big princess and little princess can wear matching shoes to Disney! ‘Nuf said. We’ve already extolled our love for Disney Crocs for toddlers, but the Crocs hasn’t left the grown ups out. The Crocs Crocband Mickey Mouse 90th Birthday Clog and The Crocs Women’s Classic Minnie are both adorable and have to be included in a list of cute and comfy Disney shoes for adults. New Balance Women’s FuelCore Nergize V1 Disney Cross Trainer are the only Disney sneakers on our list, while the Disney specific version of this shoe don’t have many reviews, the non-Disney exact shoe has a 96% positive rating with over 300 reviews. If you are specifically in the market for a Disney sneaker, the New Balance is a solid choice. Last, but certainly not least, we have to include our absolutely favorite Disney shoes for infants & toddlers. We owned Robeez for all three of our babies and loved them! They don’t slip off like many baby slippers do, and they are great when those little ones begin to toddle around as they can still feel the ground. Naturally, when we discovered these adorable Disney shoes for babies, we had to add them to the list. They are available from 0-18 months. When you are finished picking out which great shoes to wear to Disney, don’t forget to check out our Amazon page for recommendations on what to wear to Disney. Speaking of cute things to wear at Disney, our friend and fellow Disfanchat host, Moment Mom, has these cute Disney Fanny Packs available. This is an amazing list of shoes to wear at Disney! The pros/cons and other details are very helpful to guide anyone to find that perfect shoe for all the walking you do at Disney. Wow! Wow, such great information and detail about finding the best shoes for Disney. We always try to pick the best footwear for big days with lots of walking with the little ones. I’ve not been to Disney since i was a child but I am particularly partial to my Teva sandals and think i would choose them for a day there!!!! Great post.